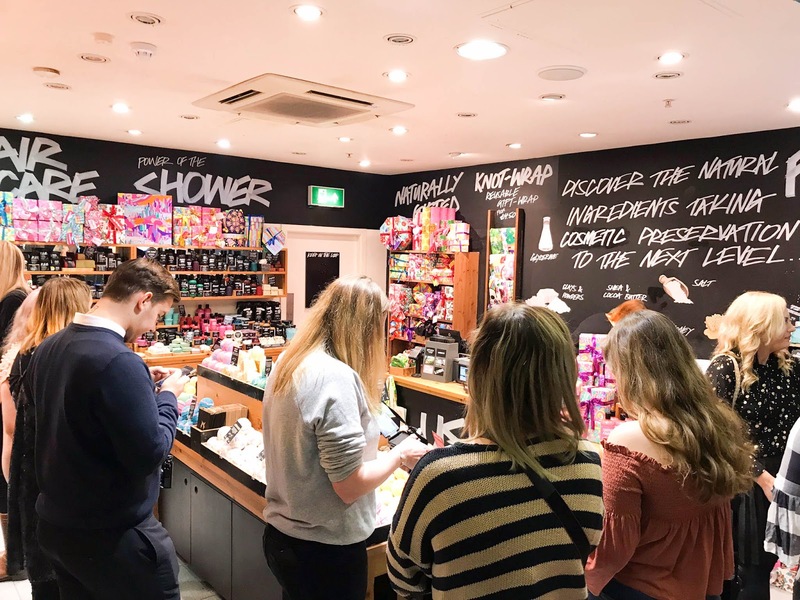 Last year, I got to attend Lush Crawley's Christmas Blogger Event which was definitely one of my favourite blogger events of 2016, and this year we all got back together for the same thing! YAY. 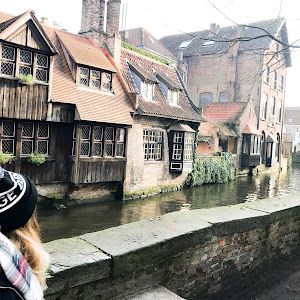 I met up with Rosie (Ohhsorosie) beforehand and we were literally the first people there, shortly followed by the lovely Emma (La Blonde Voyage). Getting let in first seemed like the perfect photo opportunity and I couldn't resist smelling all the new seasonal releases whilst it was quiet. Shortly after, everyone else started to arrive including the fabulous Holly, Katie, Charlie and Milly - this excited me greatly as it had been a while since I got to catch up with them! We had nibbles throughout the night including some Celebrations and some crazy Candy Cane crisps! They were such a cool idea and tasted like sweet popcorn in crisp form! I'm still undecided as to how I felt about them, but I wouldn't say no to trying them again! 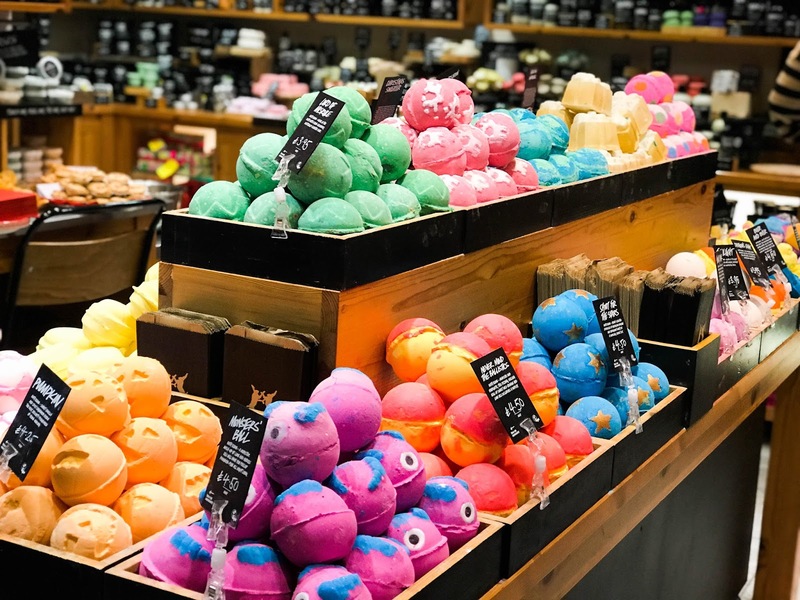 These are exactly the same as the shower gels, body conditioners and body scrubs you know and love, except the packaging has been removed and water content has been taken out making it a solid product. 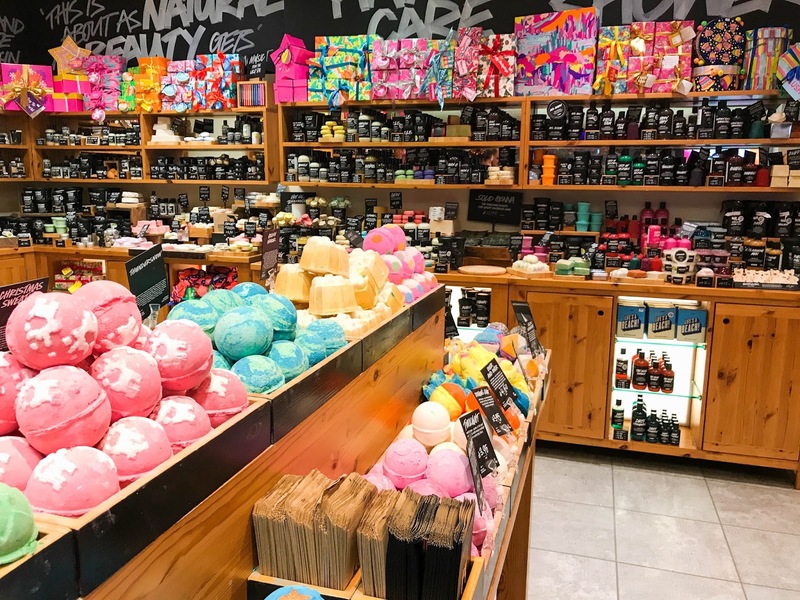 The concept compares a lot to their massage bars and soaps, which gives you an idea of what the products actually look/feel like. I personally loved this idea so much and I think once the word is out there properly, a lot of other people will support it too! 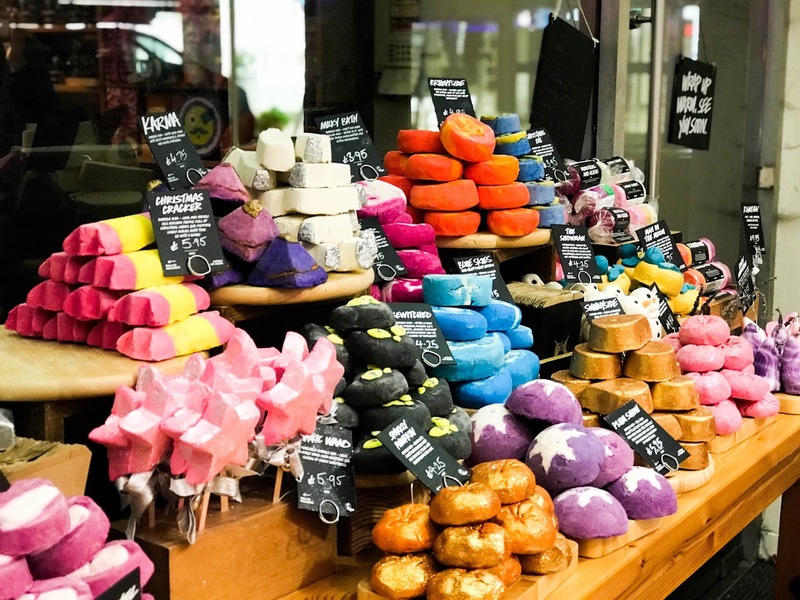 Personally, I feel like the shower gel side of it could get a little messy, but it's obviously a lot better for the environment and the products look snazzy AF on your side! 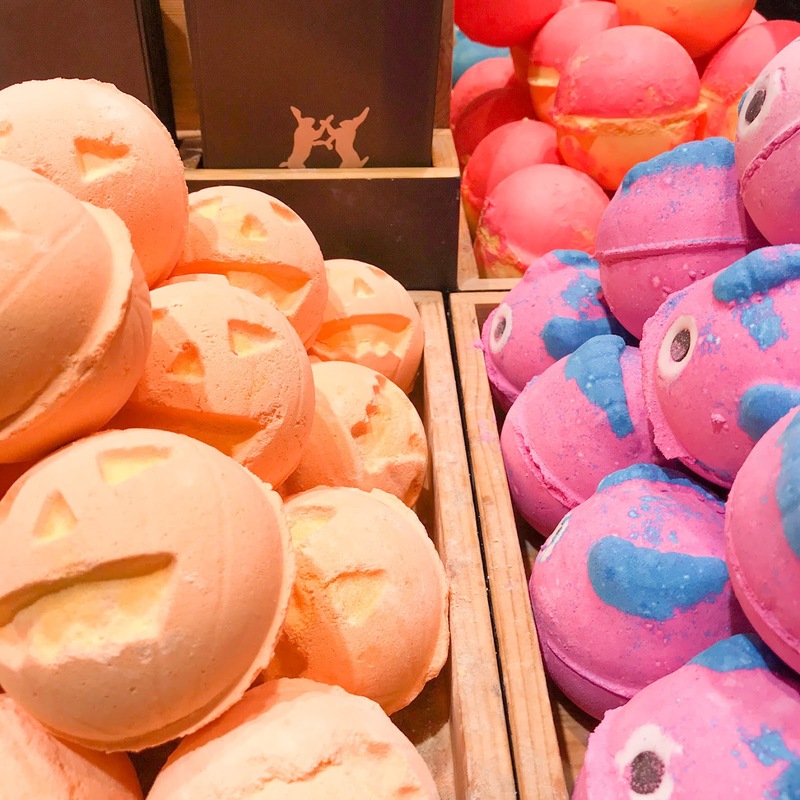 Meanwhile soaking in all the Christmassy goodness (enough to make Michael Buble jealous), we got to see some classic bubble bar and bath bomb demos from Matt. 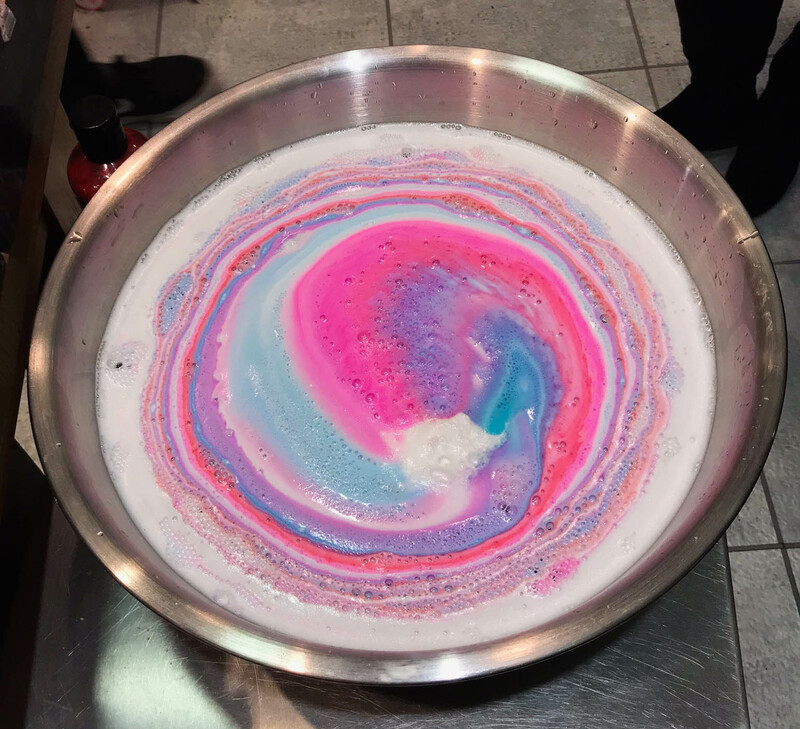 He showed us the art of bath cocktails and how you can mix and match different colours and scents to make bath & bubble heaven! 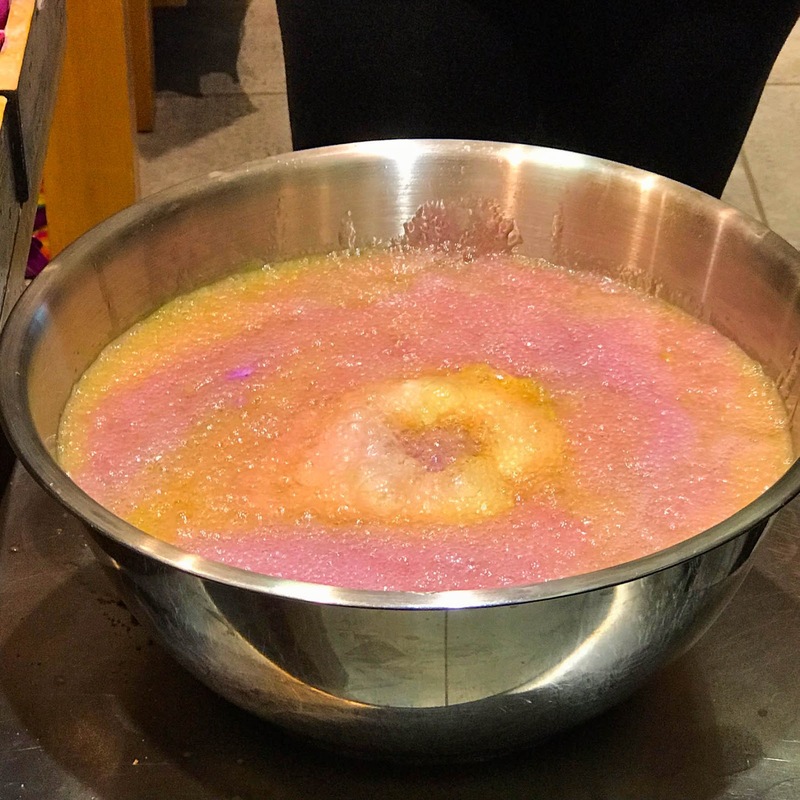 The first one we saw being demo'd was Star Light Star Bright which actually a bath melt. I love their melts anyway, so when I watched this glittery silver star tranform into a pink and blue heaven, I basically fell in love immediately. Such a clever product and I love how moisturised your skin feels after using it! The next bath bomb we checked out was a Halloween number, which was Ghostbusters themed Ectoplasm Jelly Bomb. Now, I know the idea of a jelly bath bomb probably doesn't fair with some of you, but it was pretty damn cool. I definitely want to give these another chance! Ps. Does anyone remember Gellibaff for kids? I can imagine it's a similar thing! 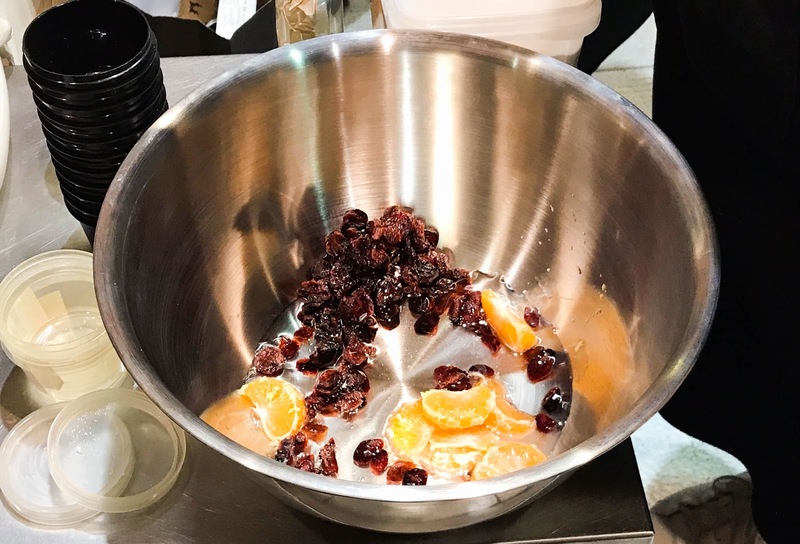 A little later on in the evening, we got the chance to make our very own Buche De Noel Fresh Facial Cleanser*. This excited me so much as I literally worship Lush skincare and I'd always loved to see how their cleansers are made. To create this was SO quick and easy! 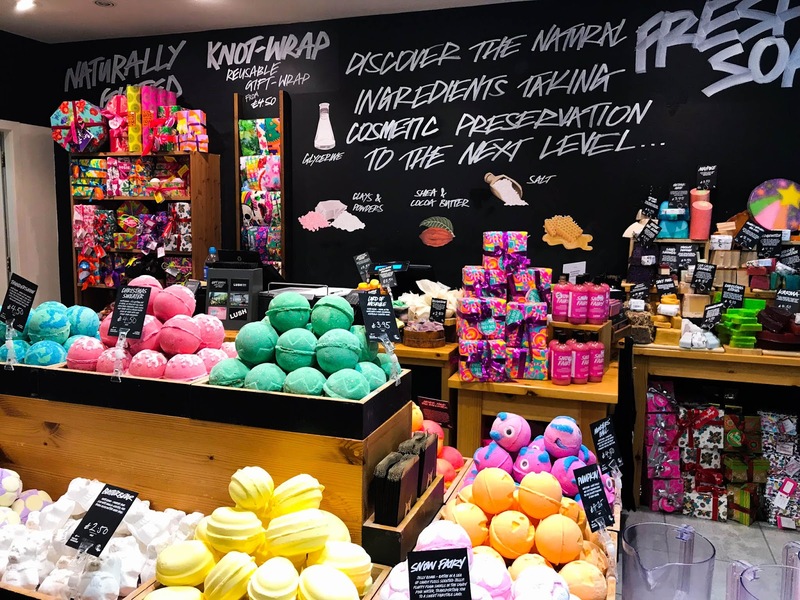 It was so reassuring to see how many fresh ingredients actually go into this and although Lush are 100% honest with what goes into their products regardless, it was good to see exactly what we'd actually be putting on our skin when we took it home! 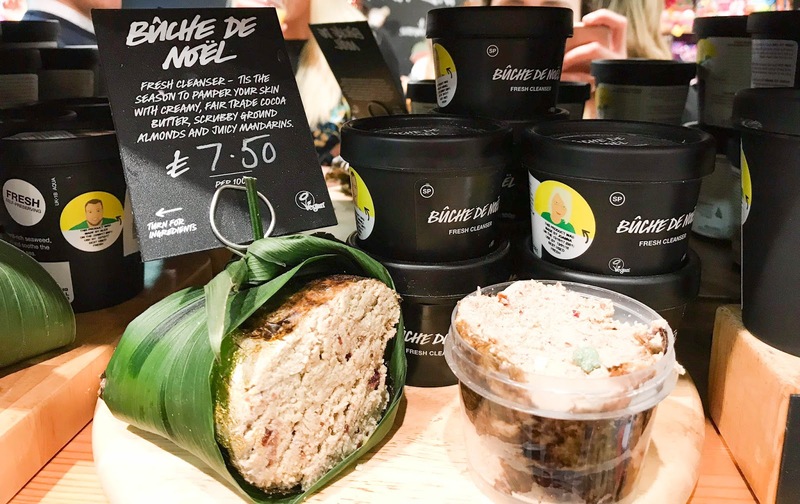 Buche De Noel is suitable for any skin type and has multiple benefits to it. 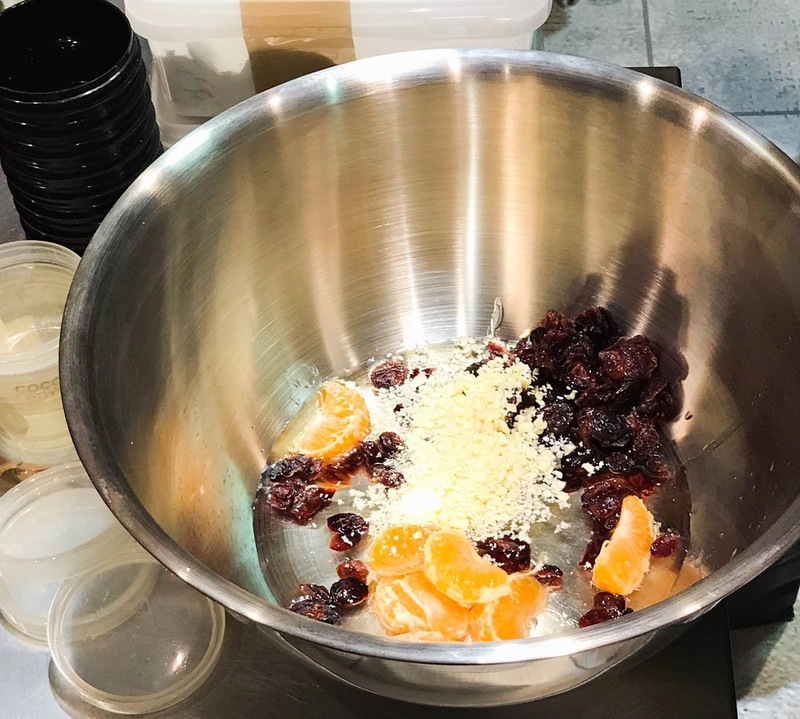 The mandarins and cranberries give the skin a brighter, cleaner appearance, whilst the ground almonds and cocoa butter gently exfoliate and soften your skin. I've been using this every day since getting it and I highly recommend you try it! 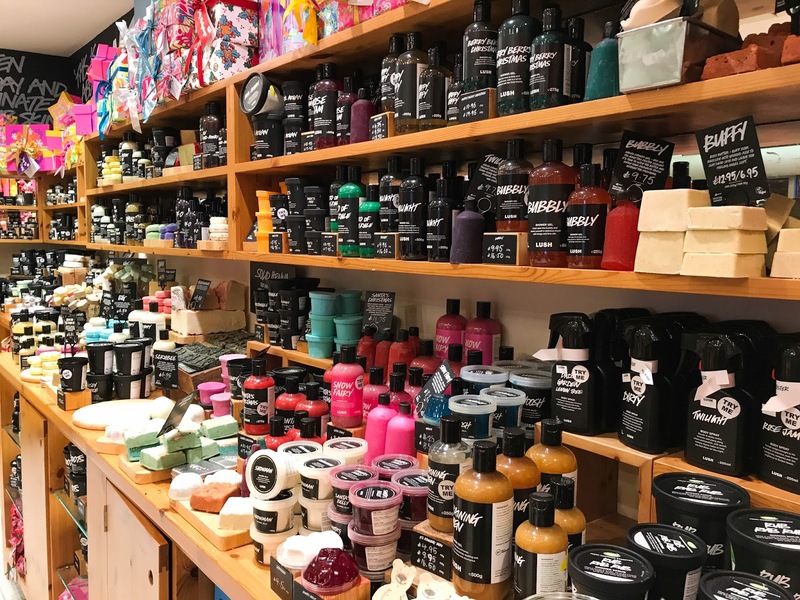 Whilst we were all in the midst ofd getting hands on, I have to hand it to Laura for her amazing knowledge of Lush's products, history and telling us all about their creative showcase (which next year I am deffo buying a ticket for FYI!) I've been telling all my friends about little things that I've learnt because I am that cool. 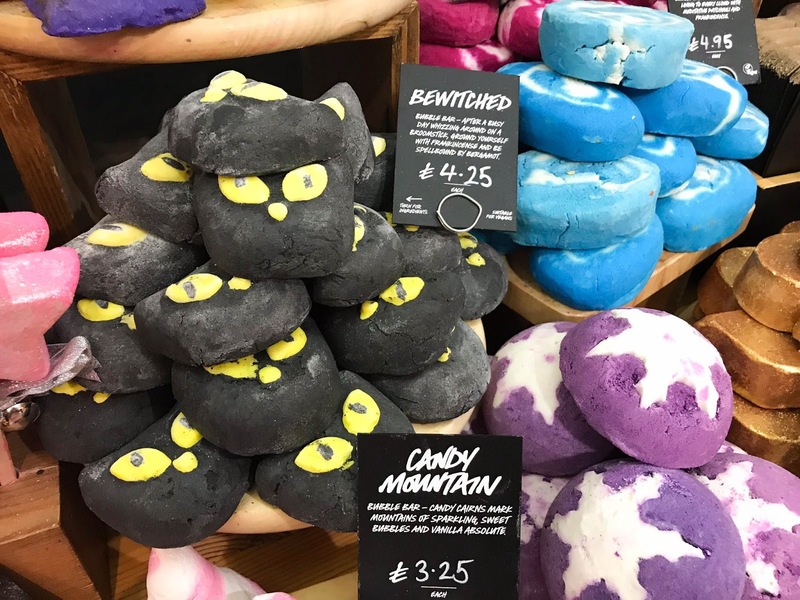 We found out that on Lush's website, there is such a cool feature where you can click on any underlined ingredient which takes your interest. From there, it will show you every single product which is made with that ingredient. I think this a super helpful feature, especially you have any allergies or just generally weren't sure about something. Another cool thing we learnt was that on some of their packaging, the ingredients are colour coded to white and green. If the text is green, it means it's 100% no nonsense and natural. However, if it's white it means there is some kind of synthetic in the products (usually to help self preserve the products). The rest of the evening was spent mingling, making Holly almost wee with laughter with the classic 'Why did the baker have brown hands?' joke (Spoiler: Because he kneaded a poo), reminiscing on Charlies drunken Instagram adventures and just generally having a great time! 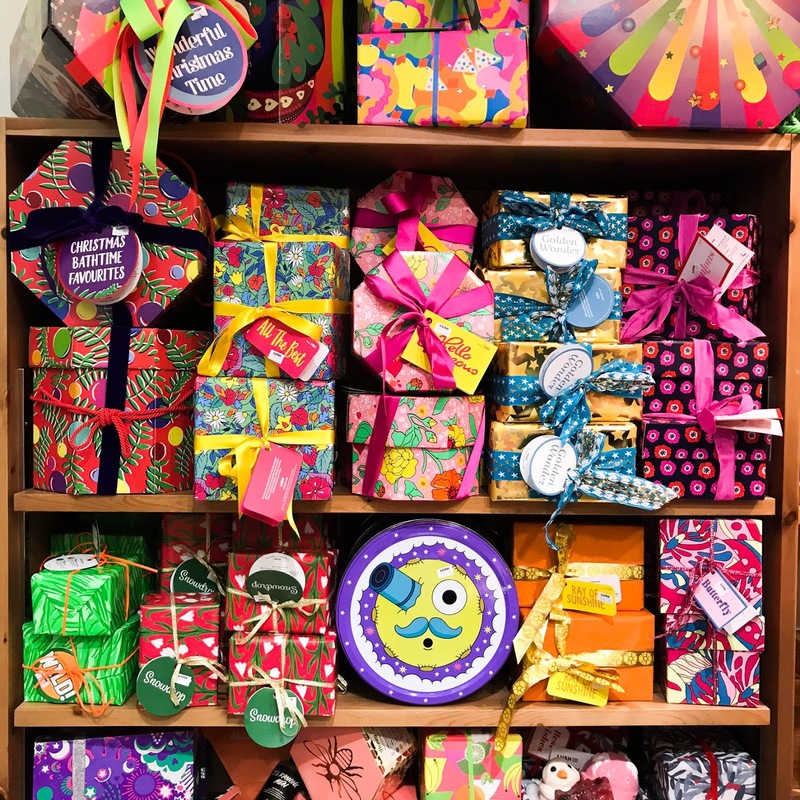 To end the night, of course I commenced my annual festive haul (whilst trying to refrain from causing too much damage to my bank account) and we had to have one last bath bomb demo with the Shoot For The Stars Bath Bomb. IT'S SO PRETTY AND HAS GOLD FLOATY PRETTY STARS IN IT. 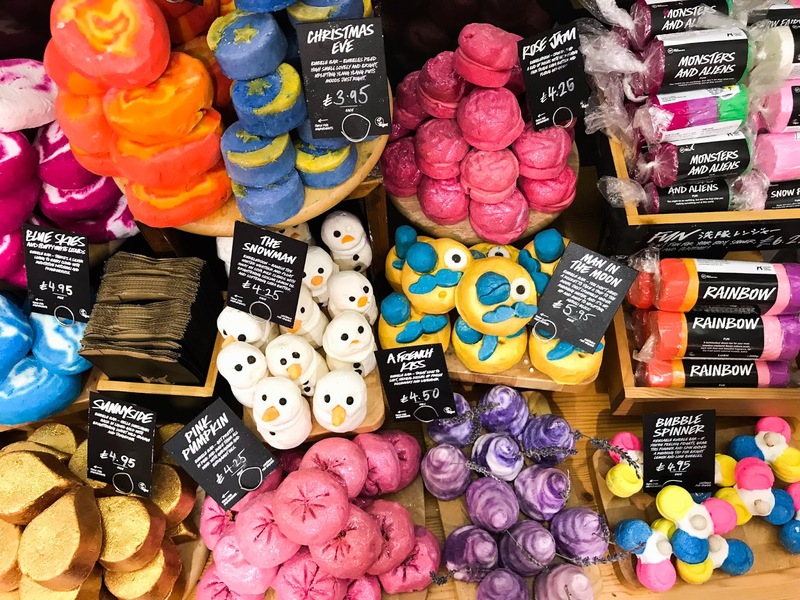 <3 Blue baths = Life. 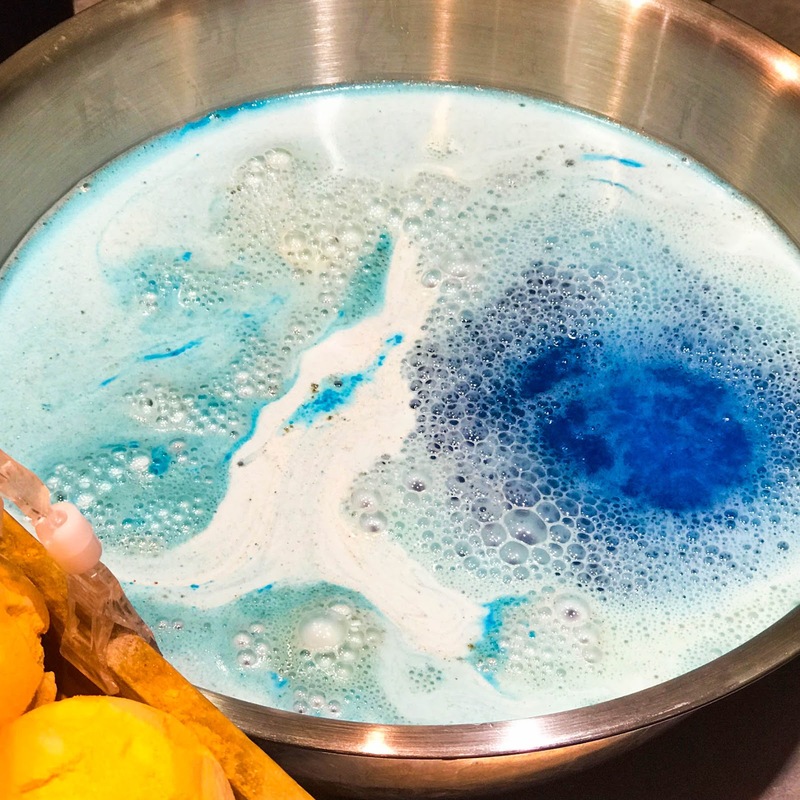 Basically, if you like blue baths and the Honey, I washed the kids scent - you need this in your life! 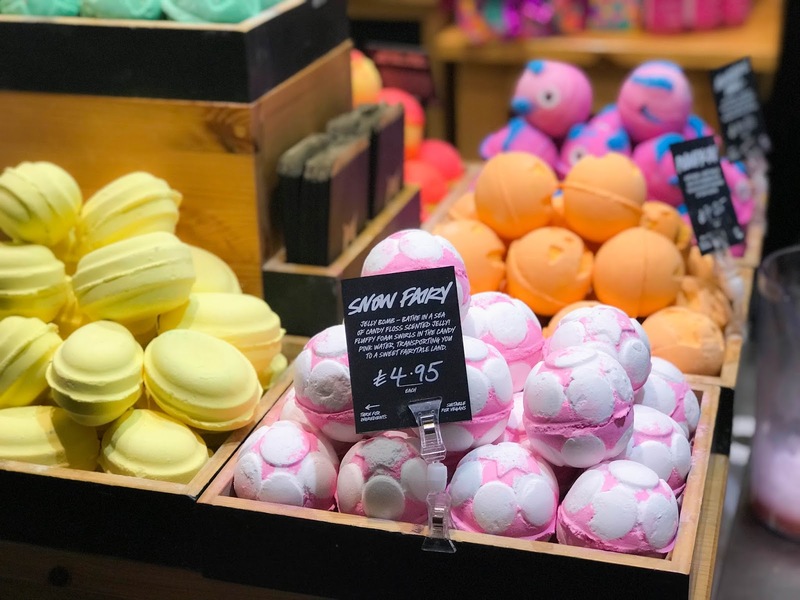 Overall, I had such a fun evening with everyone and thank you so much to Lush Crawley for putting on yet another cracking event! I can't wait for next year! :) Stay tuned on the blog next week if you want to see what I got in the goody bag! 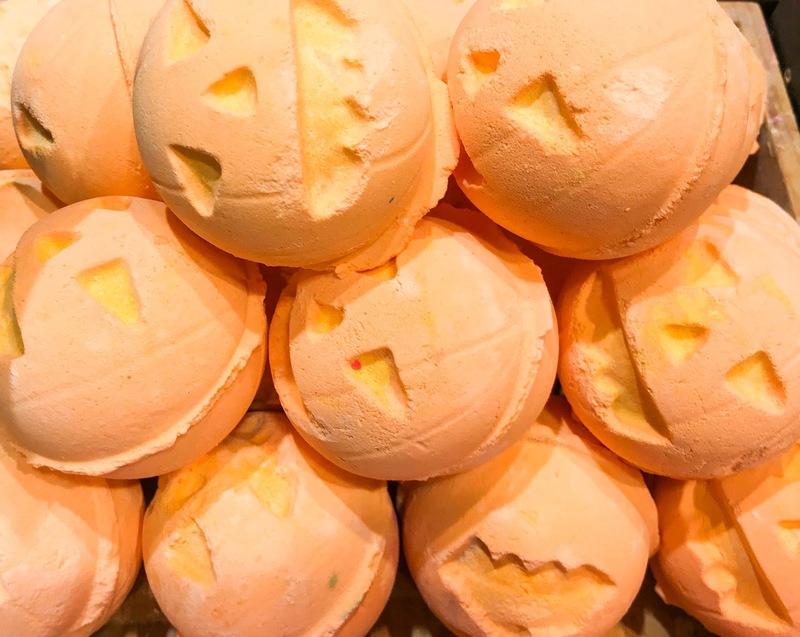 This so fun, I wish I could go to a lush event! 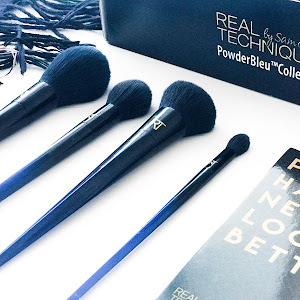 All the products look great, can't wait to try some of them out. Ah I love Lush events, they're always so fun. 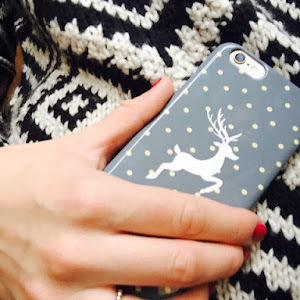 I can't wait to get my mitts on some more christmas things!